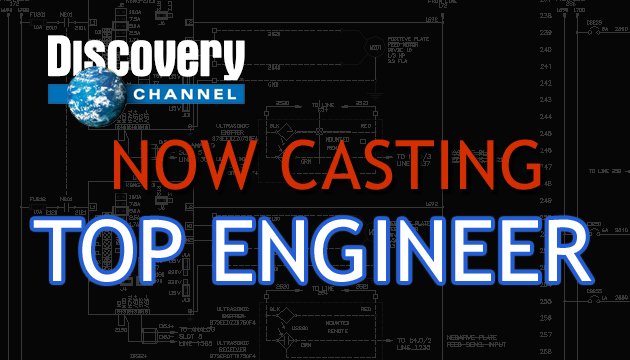 The Discovery Channel is having a casting call for engineers, designers, and builders that want to compete in a reality TV show called TOP ENGINEER. Finally! A reality show about something real and worth your time to watch! 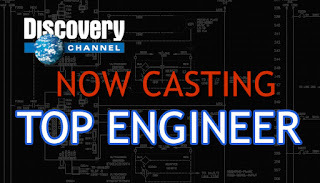 Their website says that you don’t have to have an engineering degree to be a part of the show. If you are a builder and love competing you may want to send in your application. The due date is March 7th, 2012 so hurry up. All of the needed details are here on Pilgrim Studio’s (the ones producing the show) website. These are the guys that produce Dirty Jobs and American Choppers!! AutoCAD 2013 is Announced in Japan! Autodesk has officially announced AutoCAD 2013 in Japan. If you read Japanese then you can go directly to their website (click here) for all of the details. Autodesk often announces their products in Japan first and it seems so in this case. Lynn Allen has also posted some of AutoCAD 2013’s new features. As this announcement was a surprise I have to admit that I am not prepared for a full review or blog post but rest assured that I will get it as soon as I can. We can talk about anything that Lynn has posted or that is available on the Japanese site. For a quick rundown of the new features (and comparison to previous versions) the Japanese site has a chart. I plan on a full review and discussion of the new features and system variables as soon as they are available. Am I a Tech Snob? I think that I may be a tech snob. I get very frustrated with intelligent people not being able to use common technology tools. Today I had to burn files to a CD because the individual we were trying to send them to could not figure out how to use YouSendIT. Let me break it down for you. We upload a file. A link is created and emailed to the specified recipient (and back to you.) They receive said email and click the DOWNLOAD button in the email. It takes them to a website where they are given instructions. They essentially read “Click Here” to download your file. Couldn’t do it. Frustrating. Why is it that when a problem is encountered and I propose a technology solution it is balked at? Frowned upon? Groans are cast in my general direction as if I came across a French castle in my quest for the Holy Grail? I ran into an issue today where I was not able to DETACH a referenced DWG file from one of my AutoCAD files. I went to work on a file that somebody else had been using. It had survey information in it that I need to use as a starting point for a new project. It also has several other files referenced into it. If they were set up as overlays I wouldn't have minded so much but they were attachments. I did not want to be forced into carrying over those files every time I needed this file. I copied the file into my own directory (yes I still call folders directories) to use as a base file to be referenced in a few drawing files. CCPMastRKP was the name of the stubborn file. I turned ON and Thawed every layer in the file and found that the reference had been copied several times. I deleted them and tried to detach the reference again. Same error message. I shut down AutoCAD. Counted to five and restarted it. Opened the file and tried once again to detach the offending file. Same results still. I double checked that every layer was visible, preformed a Zoom Extents. Nothing. It’s not in the file even though AutoCAD is telling me it is there multiple times. I had an idea. Maybe the reference was also saved in the file as a block?? All “circular reference” and such. I didn’t see a block with the same or similar name as the file itself but there were many blocks with a name that started with A$. I purged those from the file and was able to detach the reference. I don’t know. I wouldn’t think it would happen this way but it did. The point to this is that if you have trouble detaching a file make sure that there aren’t multiple instances of it in the file. AutoCAD – Color Change – WHY? I can’t tell you why the background color of AutoCAD always changes with each release, but it does. You can change it back to black, or any color, very easily. Open your OPTIONS window (type in OP at the command line) and go to the DISPLAY tab. Click on the COLORS button near the center on the left of the window. A new dialog box will come up. At the TOP on the LEFT, there will be a box called CONTEXT. Select the 2D MODEL SPACE option (it will highlight when you select it). Then, near the center of the window, on the INTERFACE ELEMENT, select the UNIFORM BACKGORUND option. Then, on the top right of the screen, there will be a COLOR option box. Click on the arrow to bring up a list of colors. Pick the one you want (I chose black). That is how you switch your colors, for anything. Play with the options and see if you can come up with a color solution that works for you.